Bonsai no. 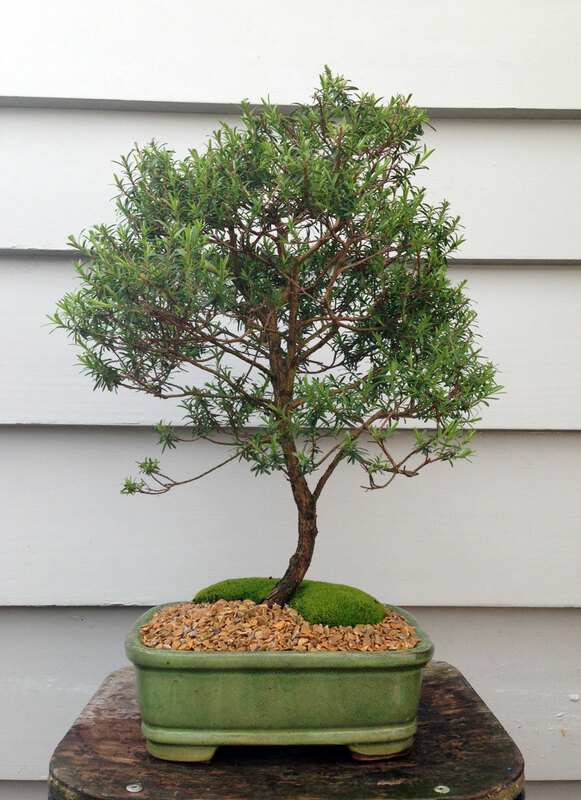 4 is a New Zealand native: the tea tree (manuka; Leptospermum scoparium). They have very fine branching and don’t usually survive repotting. Nice fine leaves as well. This one is due for a tidy-up.